Palace Roller Skating Center is the premiere location for skating fun in Philadelphia, PA! Great times, great friends, and memories that last. Be sure to check website for a full schedule of skate lessons. "Summer's right around the corner, and you know what that means. Skating all day every day!" "Be sure to bring your A-game! We have lots of fun and prizes in store for you." "We all skate to a different tune -- what's yours? " "Where do you love to skate in the City of Brotherly Love?" "Sure, we love teaching kids how to skate, but nothing beats hanging out with the adults. Join us for Adult Night!" Great place to bring the kids. Their prices for birthday parties are definitely worth it. Place is clean and staff is extremely friendly and helpful. Yes, I'd like to receive news from Palace Roller Skating Center. 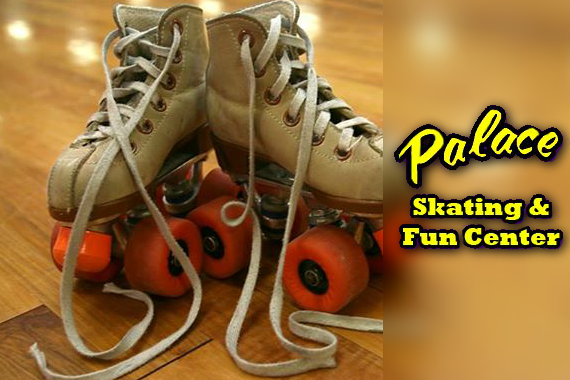 Sign up for the Palace Roller Skating Center Newsletter!